United Way of the Greater Capital Region improves lives and advances the common good in the Greater Capital Region by mobilizing the caring power of donors, volunteers and community partners to give, volunteer and advocate for local people in need. United Way of the Capital Region will be a recognized leader in the development and investment of philanthropic and volunteer resources in programs and initiatives that improve the quality of life for children, families, elders and people in need. We will accomplish this by investing resources in programs that address needs in the area of Basic Needs, Education, Income and Health. We will strive to fund initiatives in the strategic community impact areas that address our community’s most important needs. We will seek those partners that can achieve the greatest impact, while providing us with measurable and sustainable results. We will strive to exceed our donor, volunteer, and community partners’ expectations. We will strive for excellence in service, continuous improvement, and inclusiveness in all that we do. We will achieve our objectives through exemplary teamwork and cooperation. We will uphold the highest ethical standards in all areas. We will act in a socially responsible manner with all whose lives we touch. We will be accountable and transparent in all that we do. 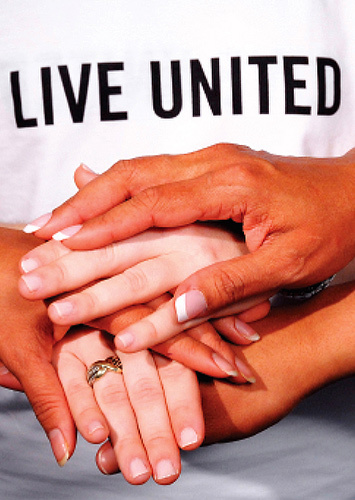 Learn more about United Way's work locally and in communities around the world.